ACM is a free game. This means that the source code is available to be studied, modified, and distributed. Most projects look for help with testing, documentation, graphics, etc., as well. 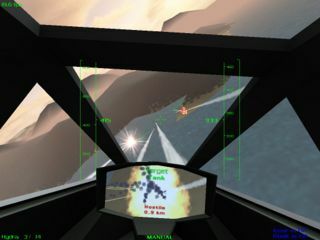 ACM is a multiplayer flight simulator. Several civilian and military aircraft and two scenes are included. The game works without a server, the clients communicate using IEEE Distributed Interactive Simulation protocol (DIS). Flight simulation games is a free game. This means that the source code is available to be studied, modified, and distributed. Most projects look for help with testing, documentation, graphics, etc., as well. Airrace is a proof-of-concept app for the Aviation flight simulator. Its aim is to provide some level of realism while still keeping things simple. In airrace you fly a light plane thru an obstacle course of pylons. There are 7 practice courses and 5 race tracks. Airrace runs on top of the Techne platform which is a general purpose, programmable, interactive, physical simulator and renderer. Airrace can take advantage of hardware acceleration but can also be run without it. 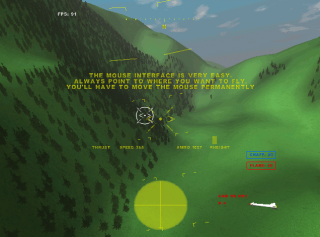 Combat Simulator Project is a free game. This means that the source code is available to be studied, modified, and distributed. Most projects look for help with testing, documentation, graphics, etc., as well. Combat Simulator Project aka CSP is an aerial combat simulator. The latest version of the game is 0.2180 released on September 21, 2007. It is primary written in the C++ programming language and is licensed under the GPLv2. FlightGear is a free game. This means that the source code is available to be studied, modified, and distributed. Most projects look for help with testing, documentation, graphics, etc., as well. FlightGear is a 3D flight simulation game. The entire game is licensed under the GNU General Public License. It is also sold on 3 DVDs. It is written in the C++  and C  programming languages. The project was started in 1996, with its first release in 1997. GL-117 is a free game. This means that the source code is available to be studied, modified, and distributed. Most projects look for help with testing, documentation, graphics, etc., as well. 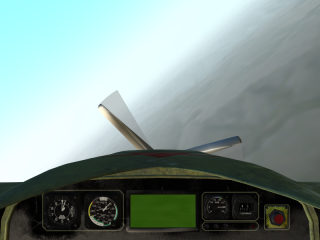 GL-117 is a combat flight simulator by Thomas Drexl and others. The latest version is 1.3.2. 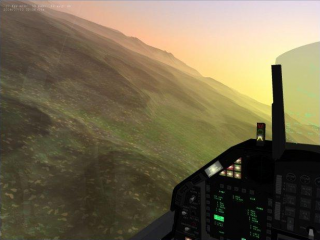 RedShift is a Flight simulation game in the spirit of GL-117, developed by Christian Haag. The game is licensed under the GPL v2. The latest version of the game is 0.1.1 on December 23th, 2006. It is written in the C programming language. 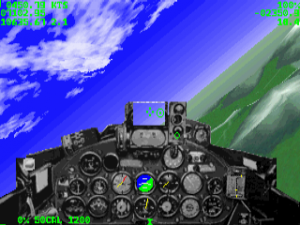 SABRE is a fighter plane simulator for X11 or svgalib, which takes place in the Korean war. The latest version of the game is 0.2.4b in 1999. 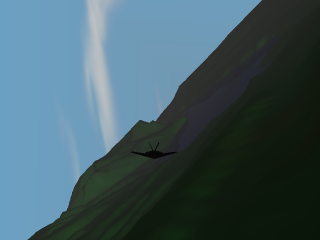 Search and Rescue is a free game. This means that the source code is available to be studied, modified, and distributed. Most projects look for help with testing, documentation, graphics, etc., as well. 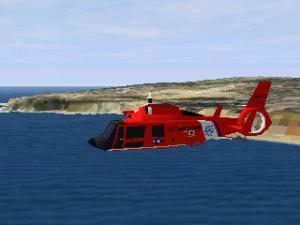 Search and Rescue is a 3D helicopter-based air rescue flight simulator game written by WolfPack Entertainment. The latest version of the game is 1.4.0 released on 2011-08-07. It is licensed under GPL. It has simple, not very realistic, controls, and is mission-based. Thunder&Lightning, or short TnL, is a futuristic flight simulation and real-time strategy game inspired by Carrier Command created by Jonas Eschenburg. It is licensed under GPL. The latest version is 071111, released on November 10, 2007. Vertigo is a free game. This means that the source code is available to be studied, modified, and distributed. Most projects look for help with testing, documentation, graphics, etc., as well. This article is about the game. For the person, see Vertigo (person). 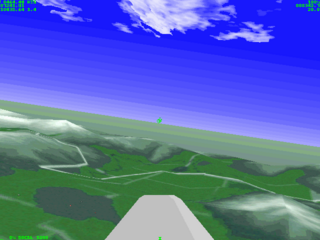 Vertigo is a flight simulator written by Anton Norup Sørensen. It is written in the C programming language. The last version, 0.26, was released in April 2002. No further development is done. The source is licensed under the GNU GPL, while the binaries are freeware and cannot be sold. ↑ RedShift's user page on SourceForge.net. ↑ SABRE review on Linux Gazette. ↑ Search and Rescue 0.8.2 copyright file in Debian Etch. ↑ Search and Rescue 0.8.2 data copyright file in Debian Etch. This page was last edited on 30 August 2013, at 07:40.